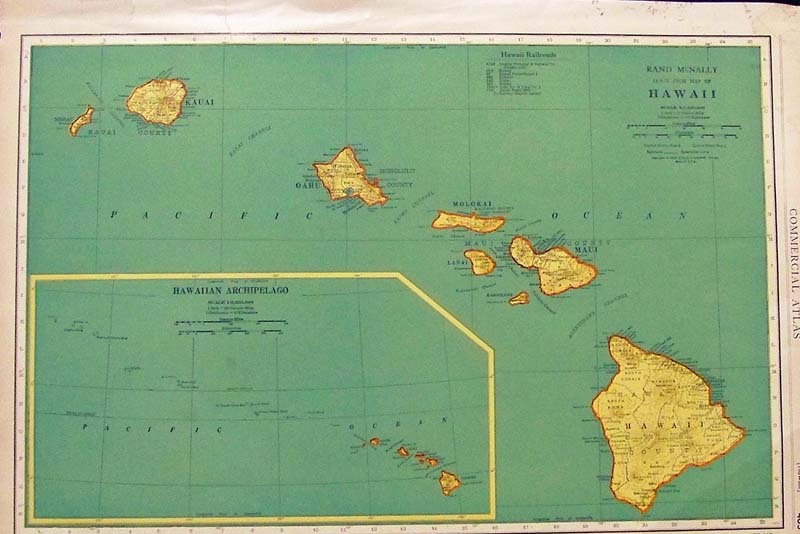 Antique Hawaiian Prints and Maps for sale. 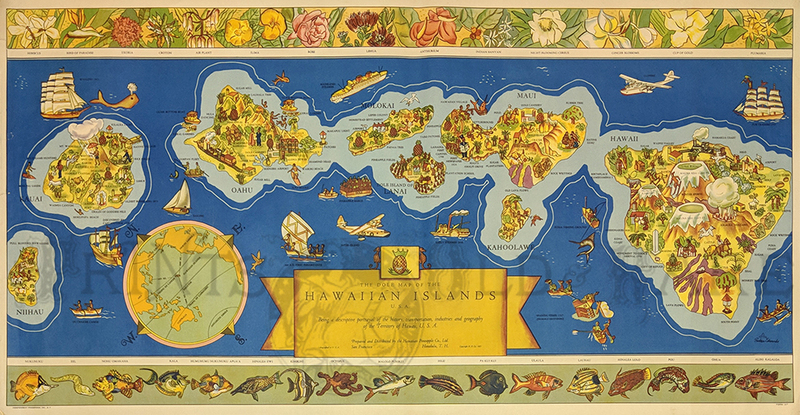 1937 Rare Color Dole Map of the Hawaiian Islands - Cartoon picture map by Parker Edwards of the Islands before Statehood. 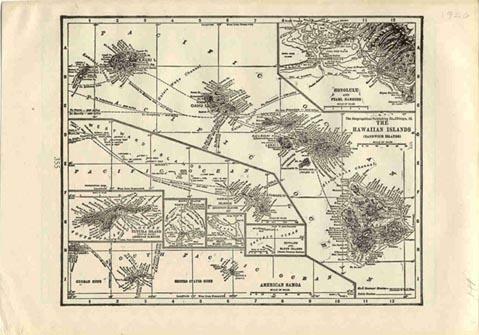 1868 Hawaii Map. 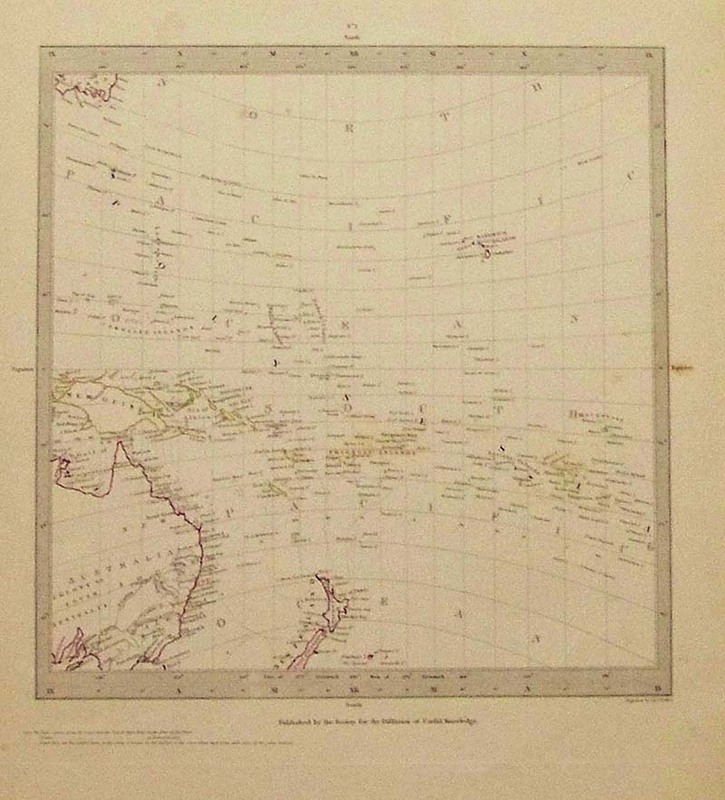 Antique Harper's map of Commercial World, with Hawaii at center of Pacific routes. 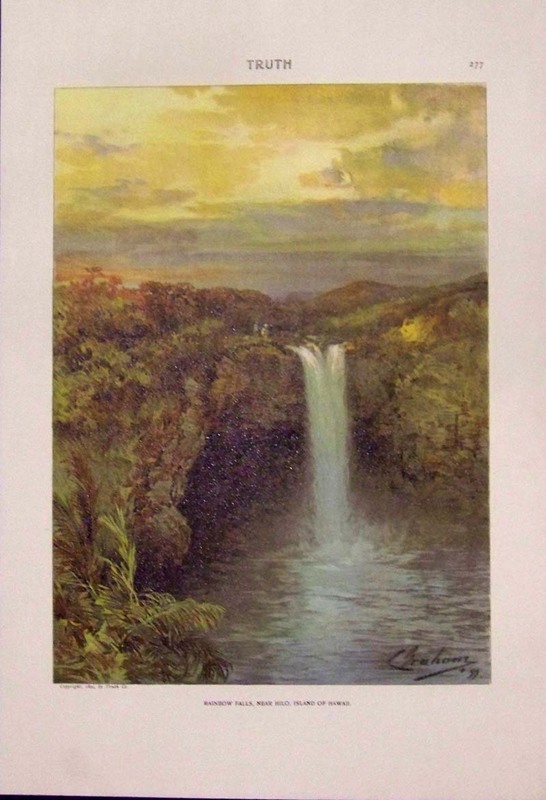 Fine hand colored Honolulu view above. 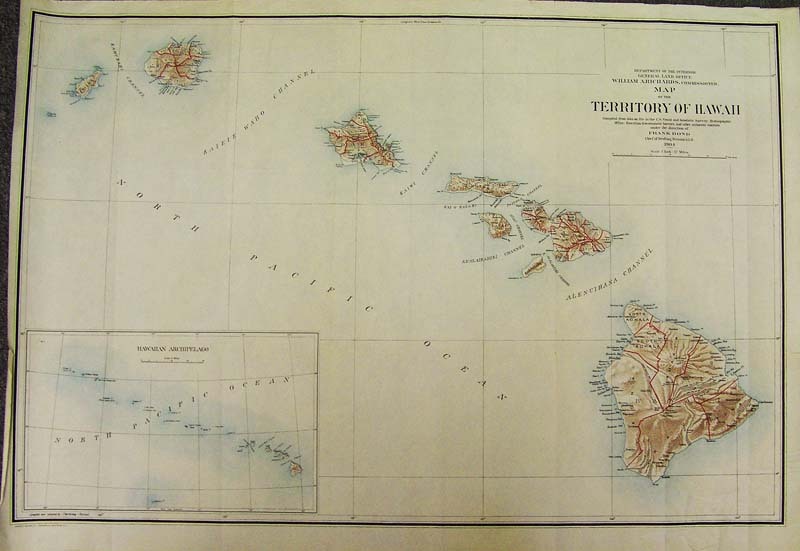 Map surrounded with five other key location views, including Hong Kong, Panama, etc. 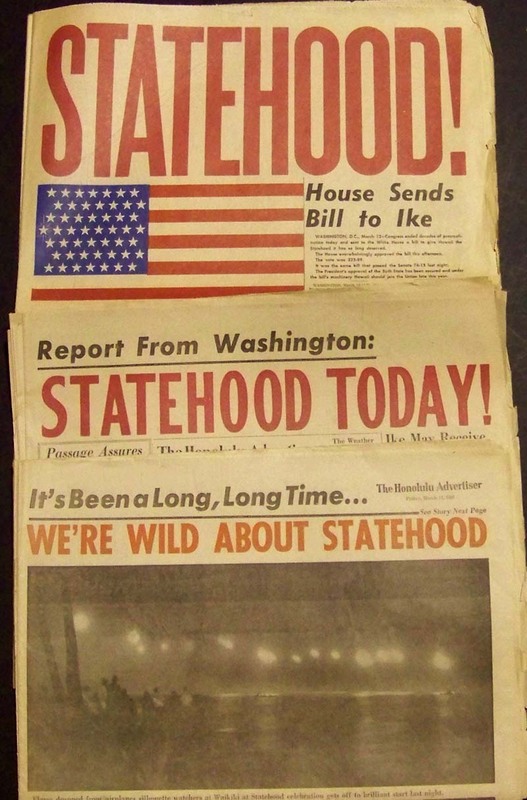 Honolulu Advertiser - Statehood Edition. 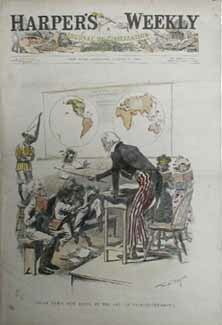 Complete with 18 sections, published on day of Statehood. Shown inside are photos, ads, stories, and other important points of interest. It's in very good condition. 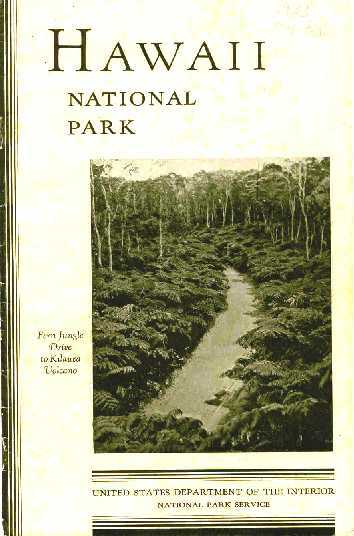 HAWAII NATIONAL PARK INFORMATION BOOKLET - 1933. U.S. Dept. 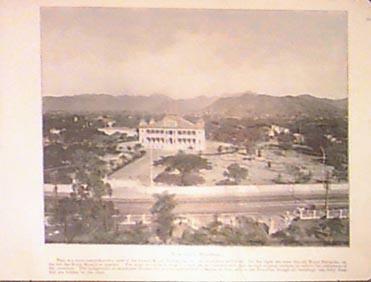 of the Interior, National Park Service. Very informational booklet, with sections on tropical vegetation, Kilauea, Volcano House, Mauna Loa, Haleakala, accomodations, etc. 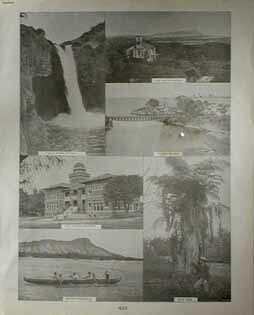 Includes black & white photos of craters and lava, and a map of the Hawaiian Islands. 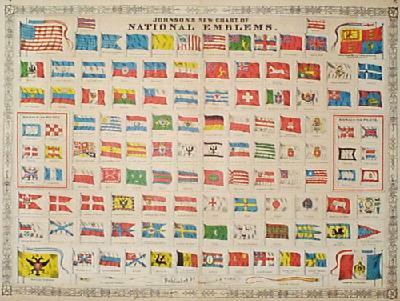 1867 Hawaii Flag. 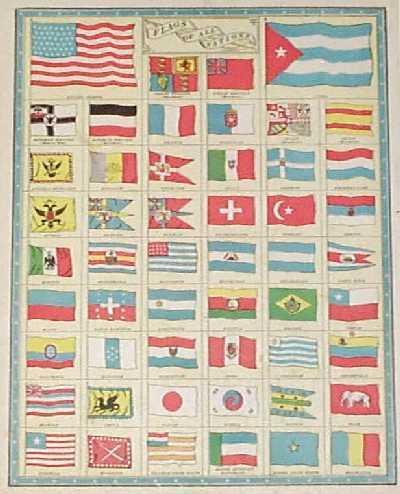 Alone with all other independent nations shown in this large color lithograph by Johnson's. 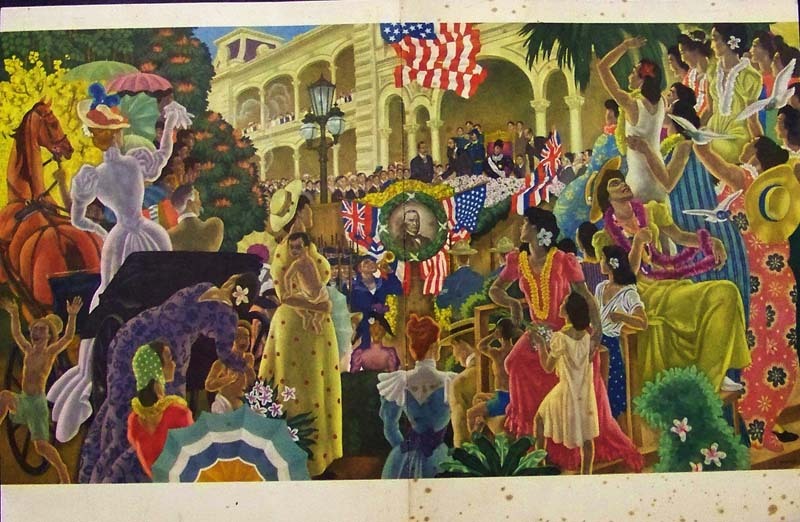 1936 SHEET MUSIC FROM HAWAII. 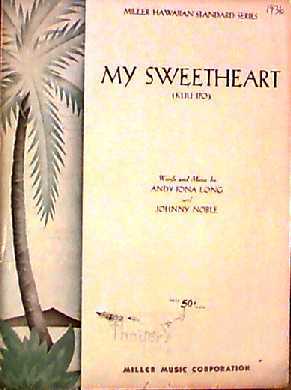 "My Sweetheart (Kuu Ipo)," from the Miller Hawaiian Standard Series, 1936. Words and music by Andy Iona Long and Johnny Noble. 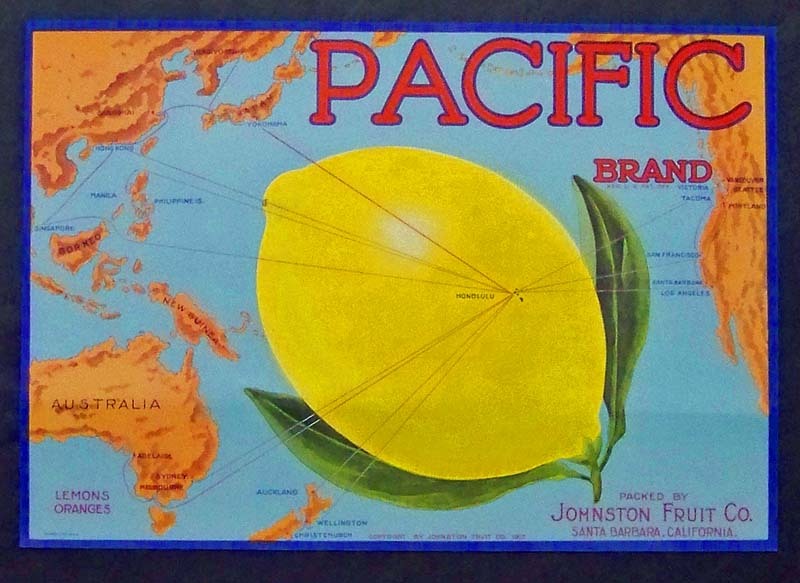 Originally sold by Thayer's, Honolulu. 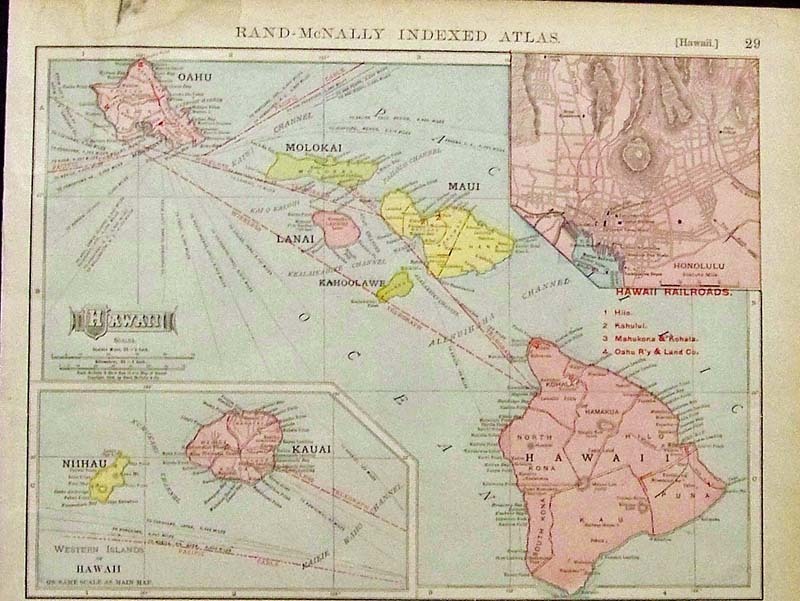 Color Rand McNally Hawaii map showing all the Hawaiian islands with an inset of the Hawaiian Archipelago. 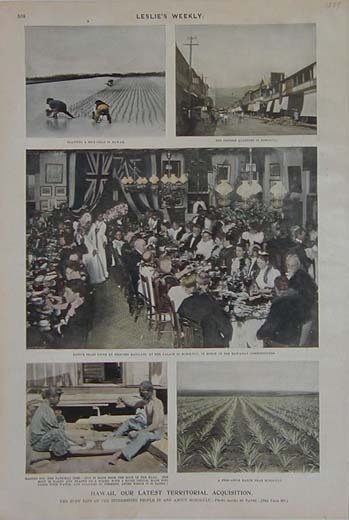 Featured in the Commercial Atlas. is shown on top of map. 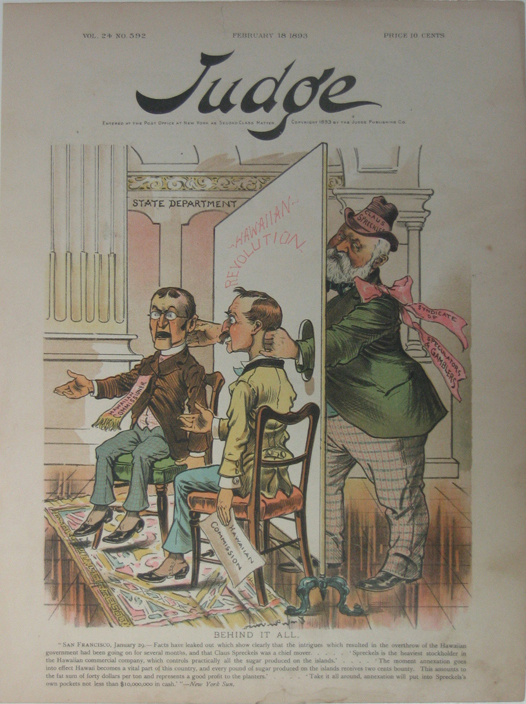 original front page from Harper's. 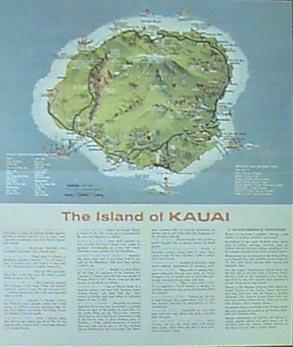 1968 Kauai Travel Brochure. 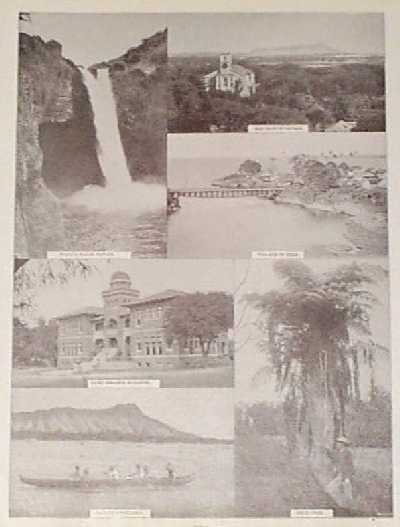 Color brochure includes large tourism map with many points of interest, as well as Kauai facts and several color photos of scenes around the Island. Printed both sides. 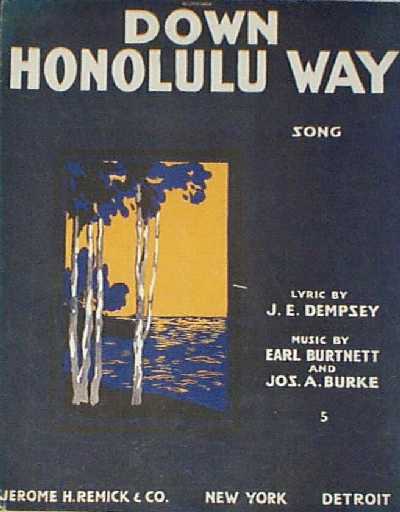 1916 Sheet Music: "Down Honolulu Way." 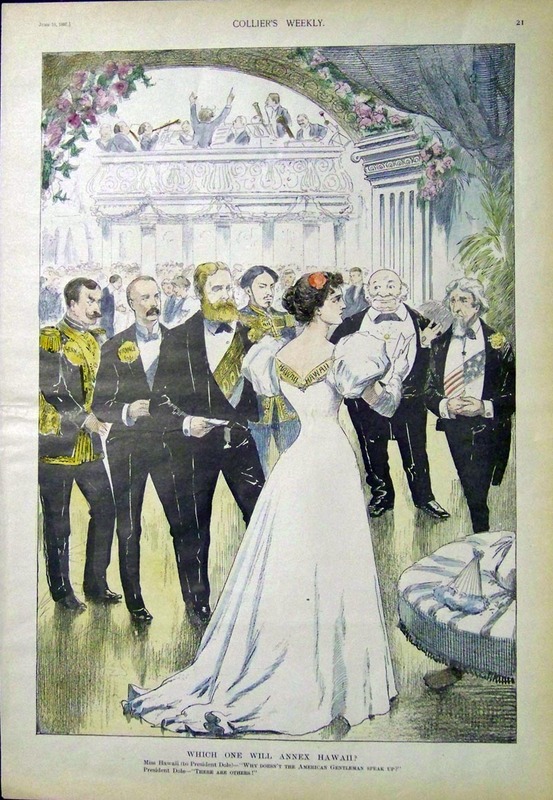 Complete music to the song, with an attractive color lithographed cover. Would look very nice in a frame! 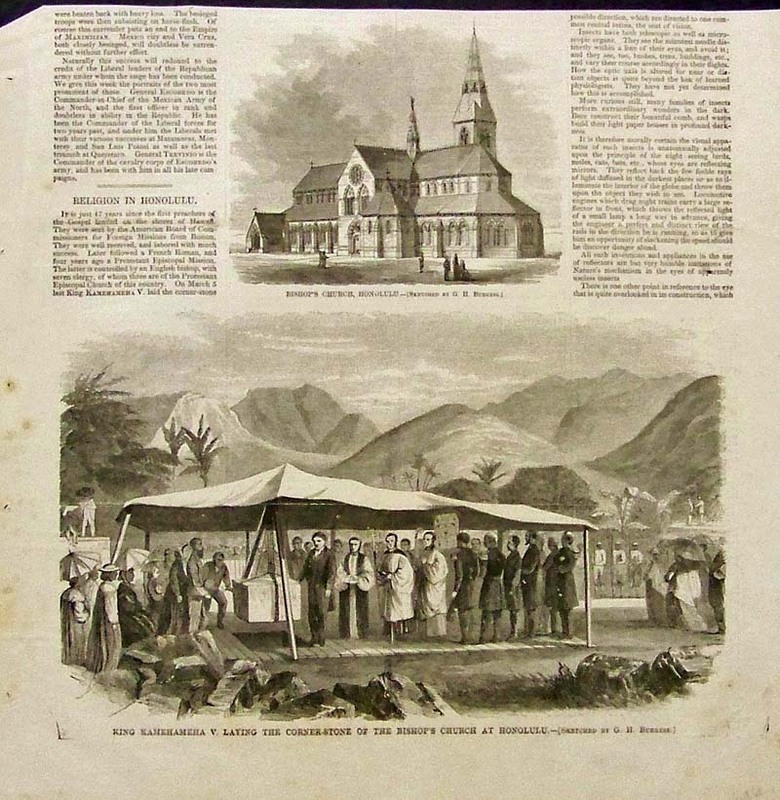 All pages are included, in very good condition. 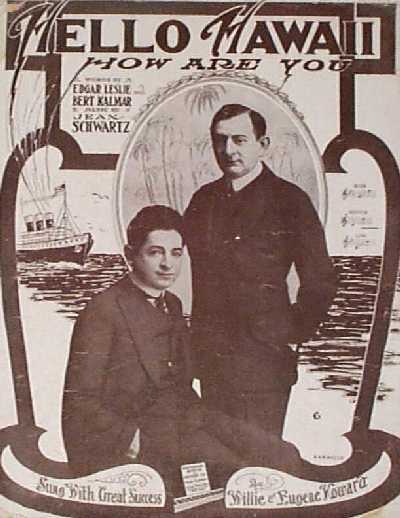 1915 Sheet Music: "Hello Hawaii, How Are You?" 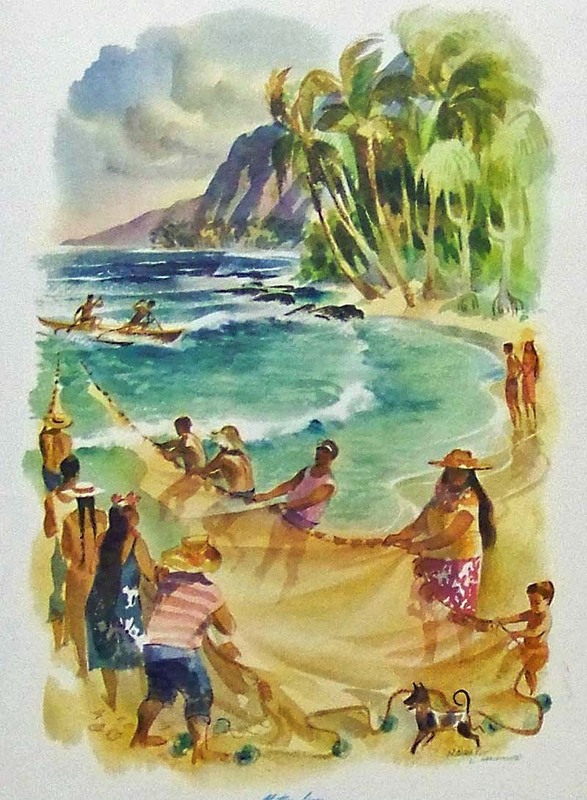 Cover features a Hawaiian scene, with portraits of two singers who popularized the song. 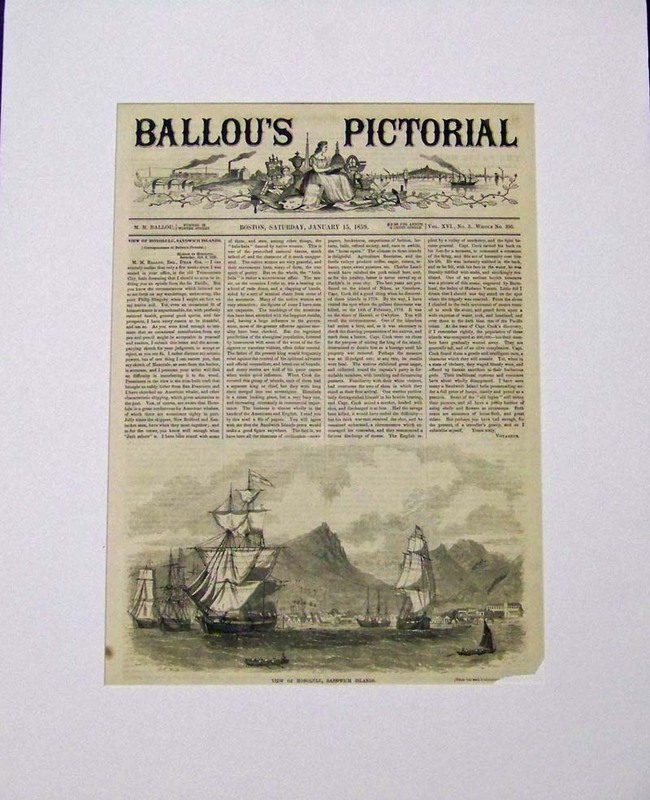 Click here to see more views from Captain Cook's Voyages. 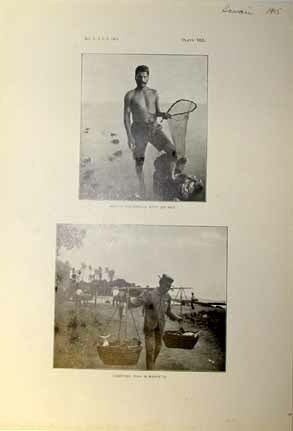 1892 Pictures of the annexation movement in Hawaii, including the population, resources and customs of the islands. 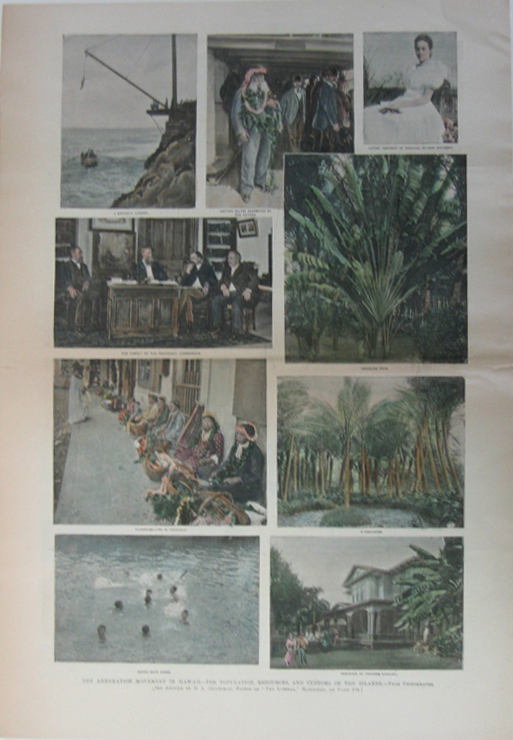 Hand colored engraved images titled, "The Annexation Movement in Hawaii-The Population, Resources, and Customs of the Islands, A Difficult Landing, Captain Wiltbe Decorated by the Natives, Latest Portrait of Kaiulani, Ex-Heir Apparent, The Cabinet of the Provisional Government, Traveling Palm, Flower Sellers in Honolulu, A Fish Pond, Native Boys Diving and Residence of the Princess Kaiulani," from Frank Leslie's Weekly. 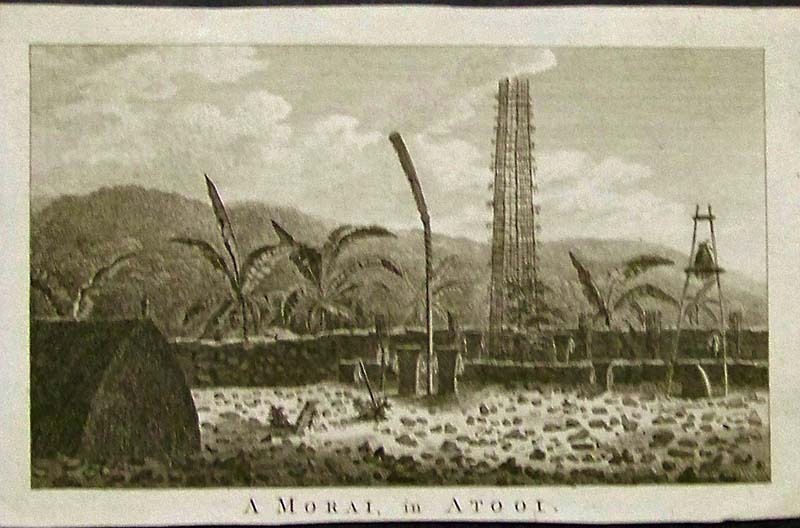 c1810 Picture of External View of Morai or Burial place, in Atooi, one of the Sandwich Islands. 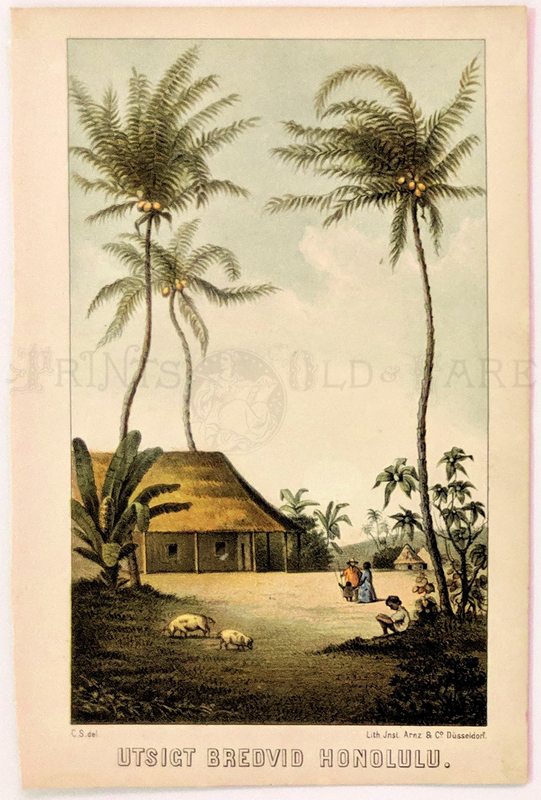 Hand colored engraved image titled, "External view of a Morai or Burial Place, in Atooi, one of the Sandwich Islands," drawn by Webber. 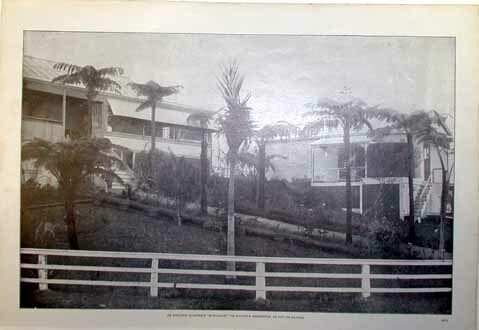 Shows scene of burial place in Atooi. 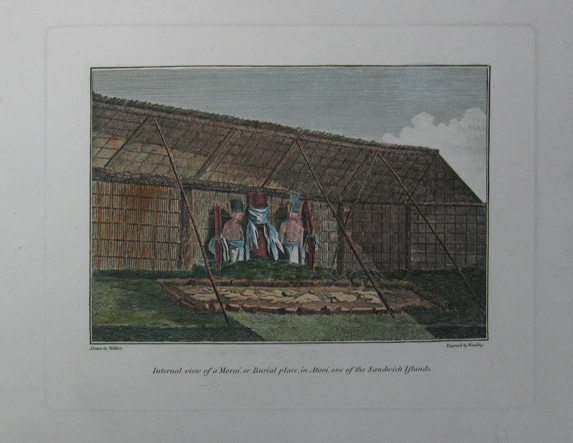 c1810 Picture of Internal View of Morai or Burial place, in Atooi, one of the Sandwich Islands. 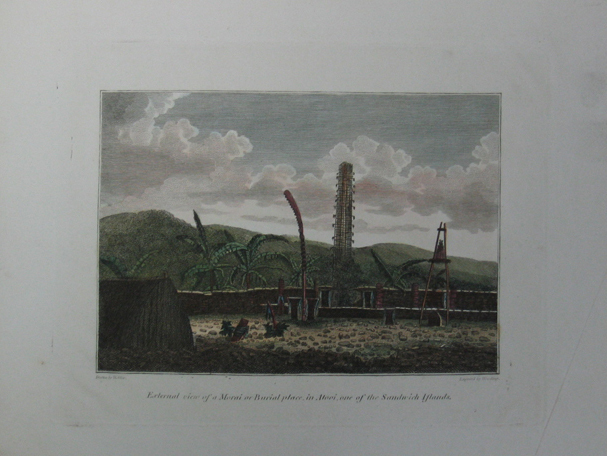 Hand colored engraved image titled, "External view of a Morai or Burial Place, in Atooi, one of the Sandwich Islands," drawn by Webber. 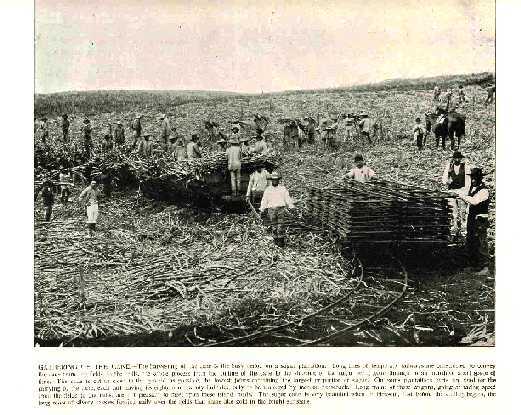 Shows scene of burial place in Atooi. 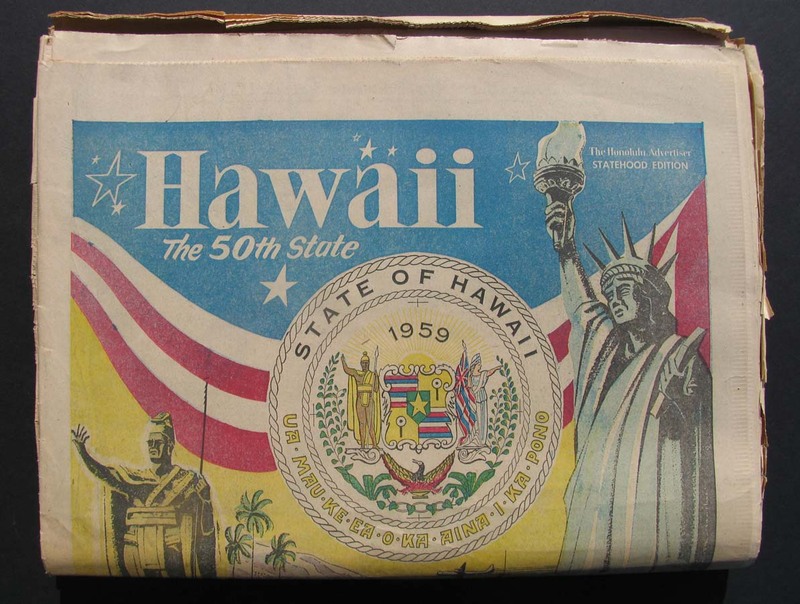 1959 Set of three original Hawaii Statehood complete newspapers, all in good condition. 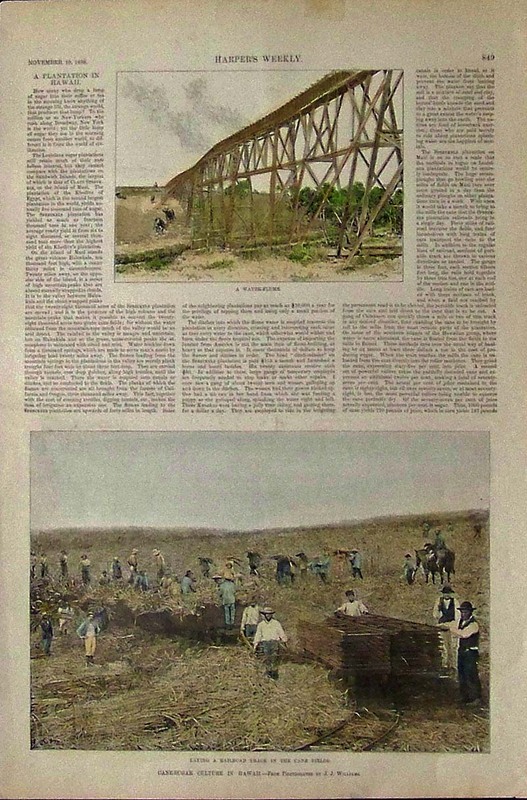 Set includes the Honolulu Star Bulletin dated March 12, 1959; the Honolulu Advertiser dated March 12, 1959; and the Honolulu Advertiser dated March 13, 1959. All are very frameable. 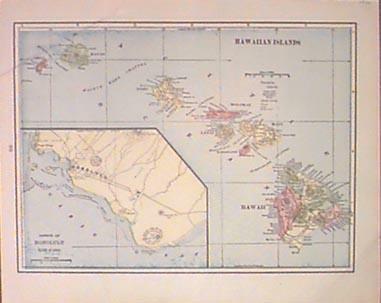 1909 Rand-McNally Indexed Atlas of Hawaii with inset of the Western Islands of Hawaii which include Kauai and Niihau. 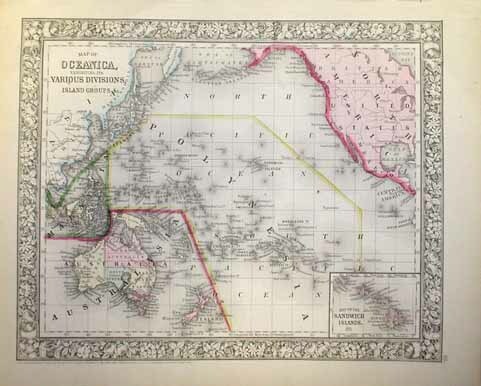 1844 Engraved "Polynesia," map, Volume II, published by the Society for the Diffusion of Useful Knowledge (S.D.U.K.). 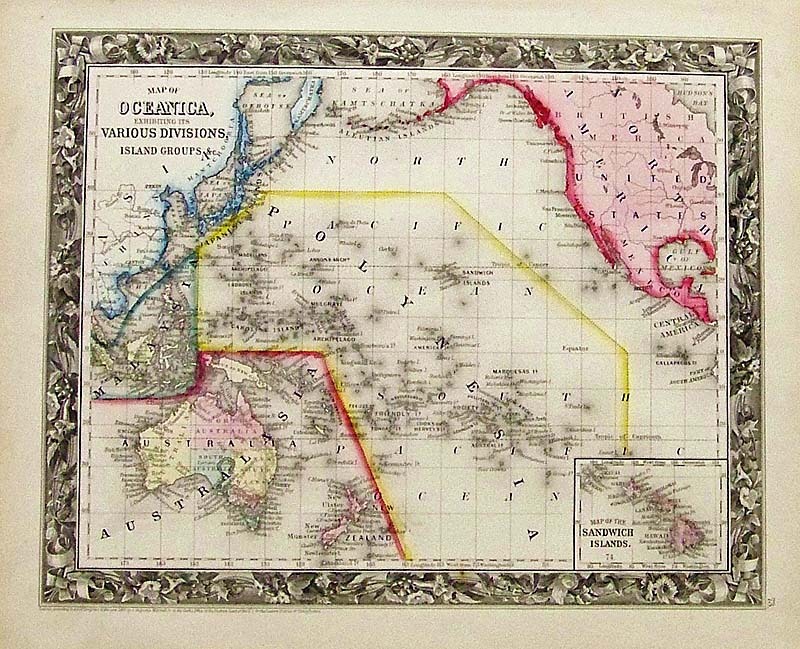 1860 Hand colored Augustus Mitchell Map of Oceanica, Exhibiting Its Various Divisions & Island Groups. 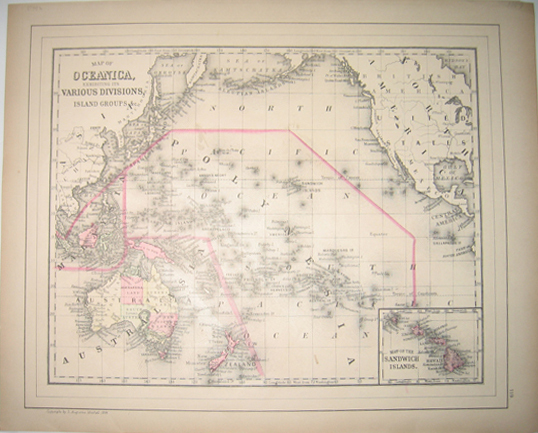 Bottom right corner shows inset Map of the Sandwich Islands. 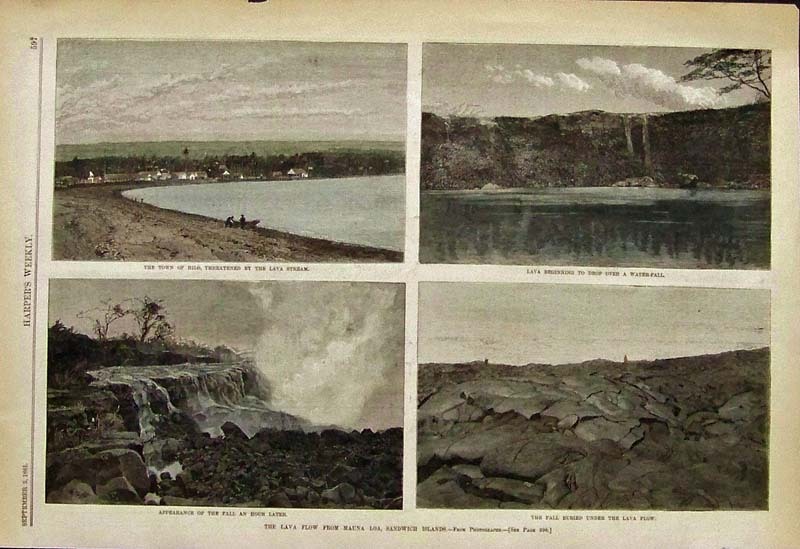 1881 Wood engravings from Harper's Weekly showing affects of the Lava Flow from Mauna Loa, in the Sandwich Islands. 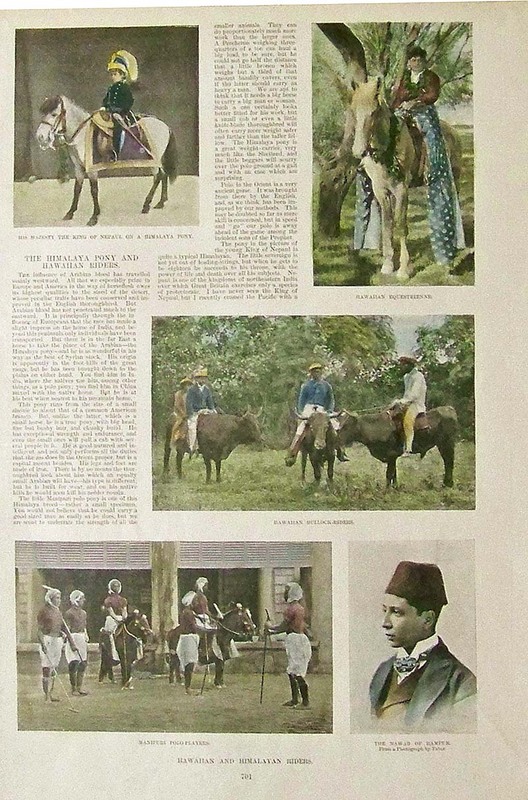 1893 Hand colored half-tone images from Harper's Weekly showing Hawaiian and Himalayan Riders. 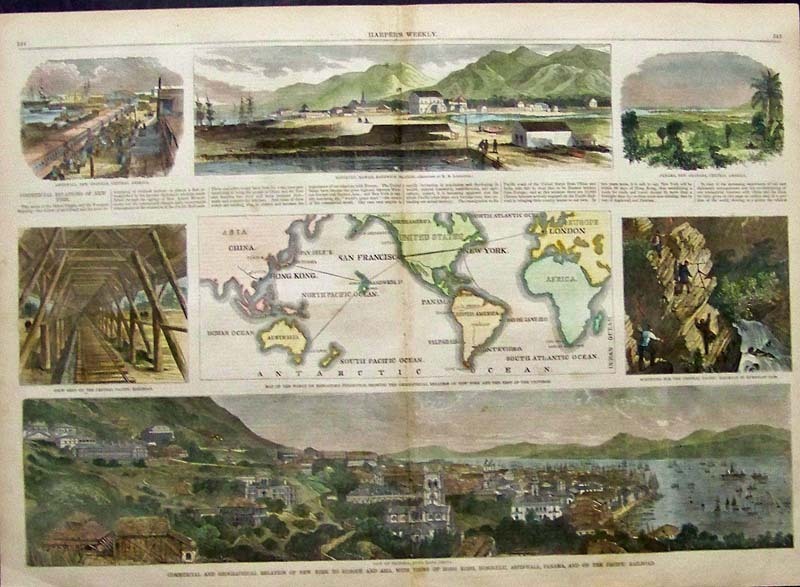 Utsigt Bredvid Honolulu (View Next to Honolulu) 1854 colored lithograph published in the Fregatten Eugenies Resa Omkring Jorden book, from the first Swedish circumnavigation on the Eugenie, under the command of Capt. Christian Adolf Virgin. Plate 6. 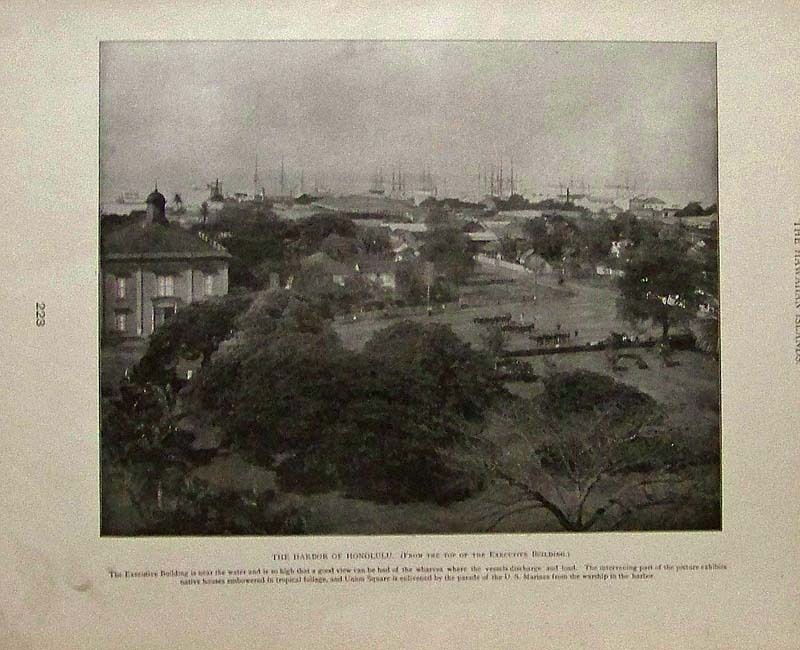 1899 Half-tone showing the Harbor of Honolulu, (From the top of the Executive Building). Featured in The Hawaiian Islands publication. 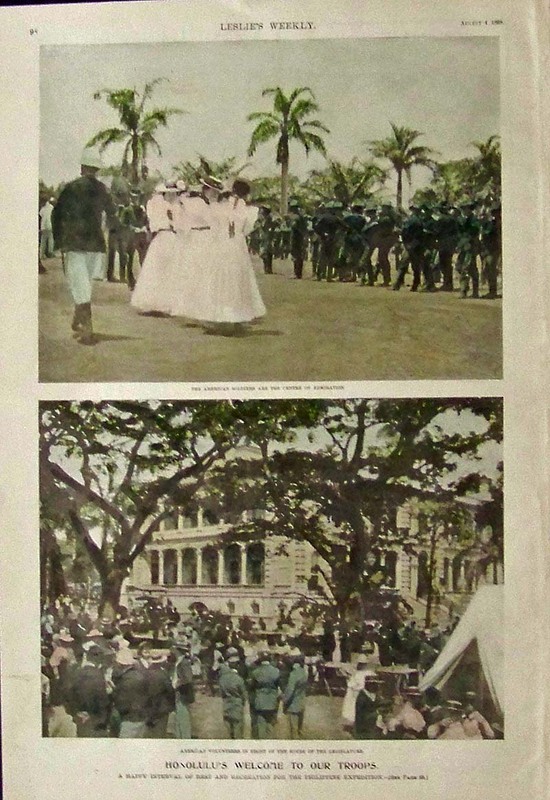 1898 Leslie's Weekly hand colored half-tone titled, "The First Christmas in Hawaii." Signed by C.F. Budd. 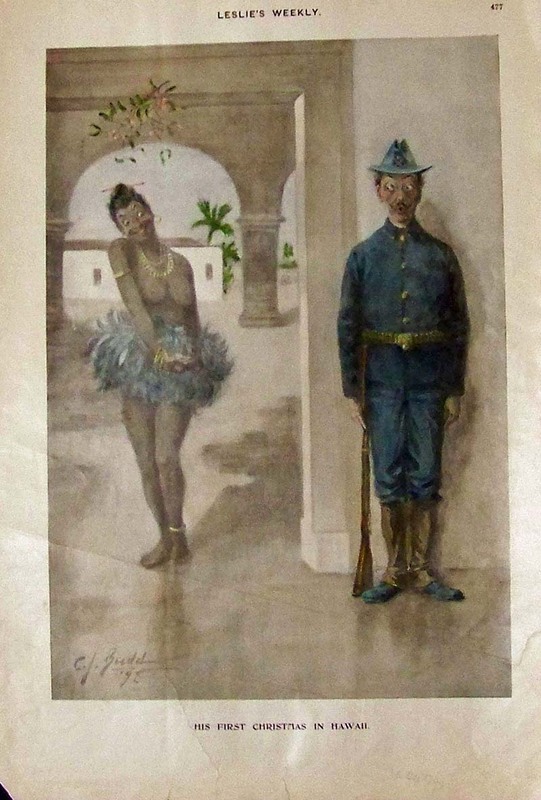 Image shows a Hawaiian lady standing under the mistletoe in hopes that the soldier standing guard might give her a kiss. 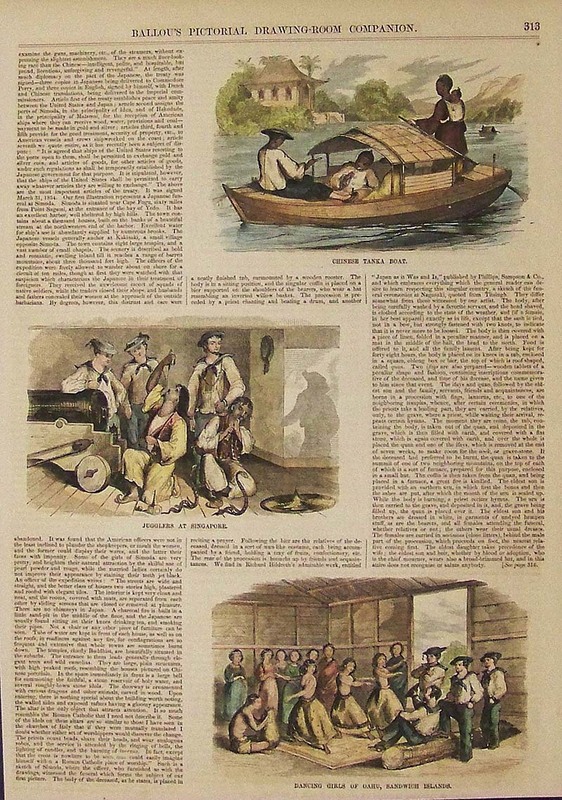 1851 Hand colored wood engravings featured in Gleason's Pictorial Drawing Room Companion. 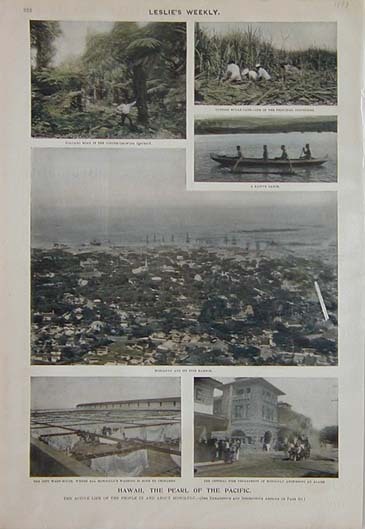 Top image shows a View of Kororarika Beach, at the Bay of Islands, in the Pacific Ocean. 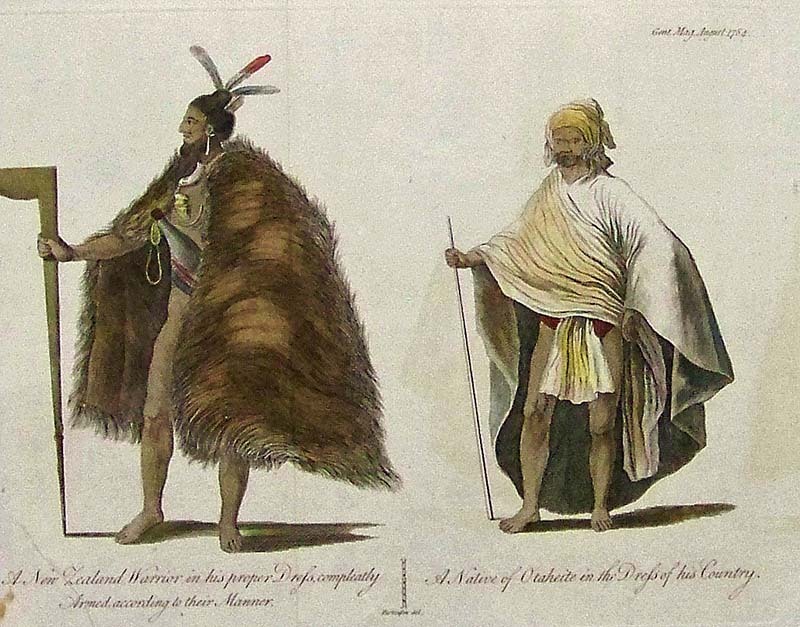 Bottom left shows a Peace-Maker in the Bay of Islands and bottom right shows A Chief in the Bay of Islands. The Bay of Islands text surrounds the images. 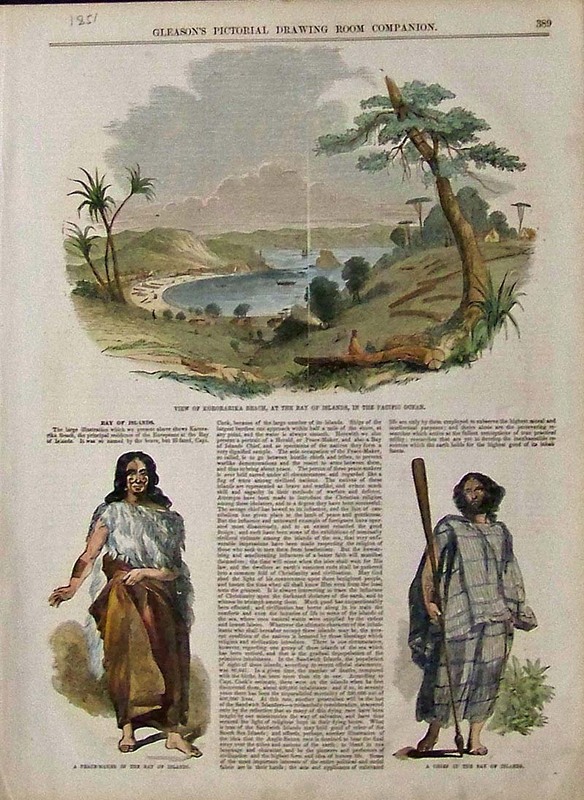 Hand colored wood engravings featured in Ballou's Pictorial Drawing-Room Companion showing Dancing Girls of Oahu, Sandwich Islands in bottom image. 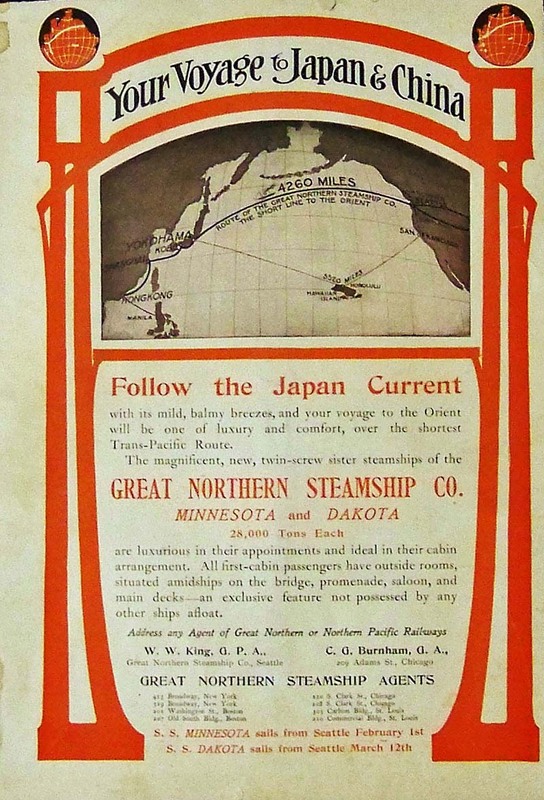 1902 Color advertisement for the Great Northern Steamship Company detailing "Your Voyage to Japan & China, as you follow the Japan Current with its mild, balmy breezes, and your voyage to the Orient will be one of luxury and comfort, over the shortest Trans-Pacific Route." 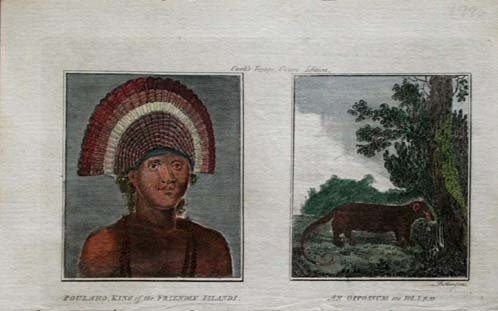 1784 Morai in Atooi (Kauai) copper engraving by John Webber, artist and Leperneret as engraver. Part of Captain Cook's expedition. 1798 Copper engravings engraved for Bankes's New System of Geography, published by Royal Authority. 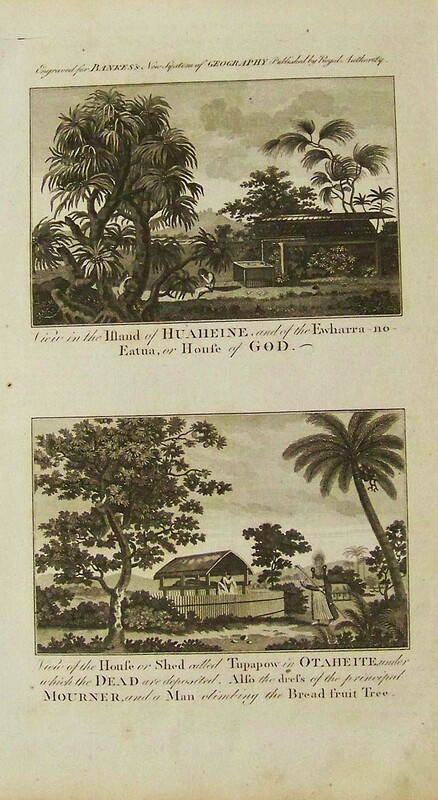 Top image shows a View in the Island of Huaheine, and of the Ewharra-no-Eatua, or House of God. 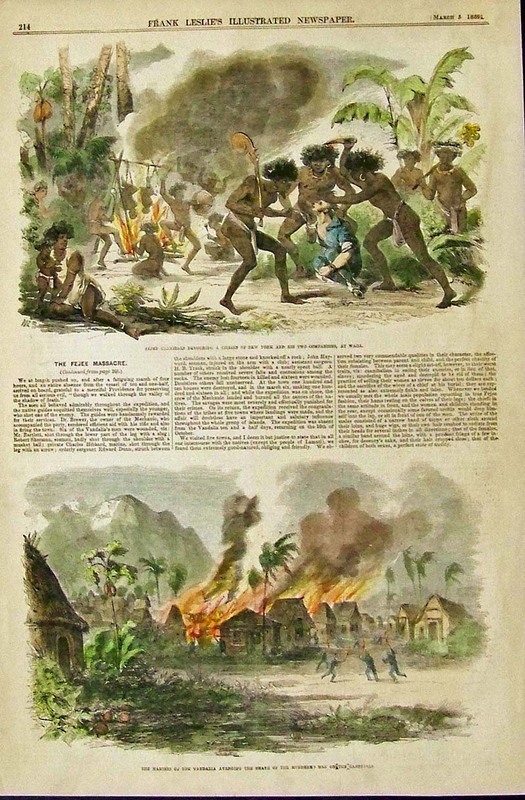 Bottom image includes a Man climbing the Bread-fruit Tree. 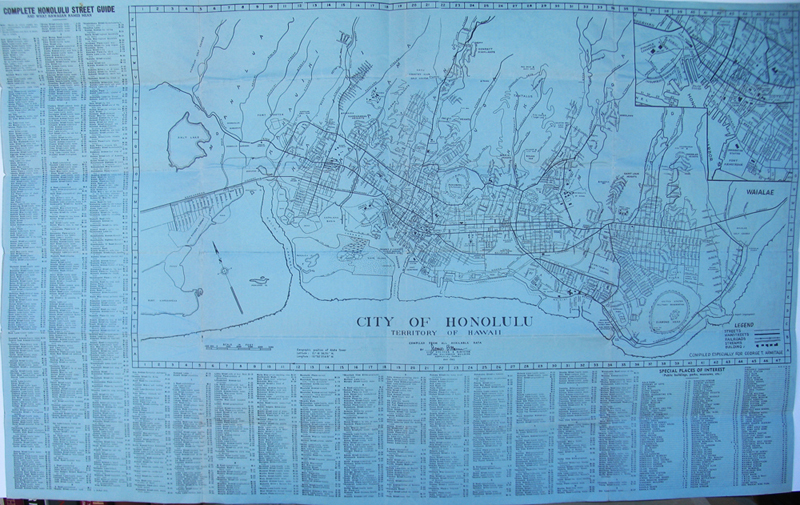 1942 Light blue engraved City of Honolulu, Territory of Hawaii map with a surrounding key for Special Places of Interest. 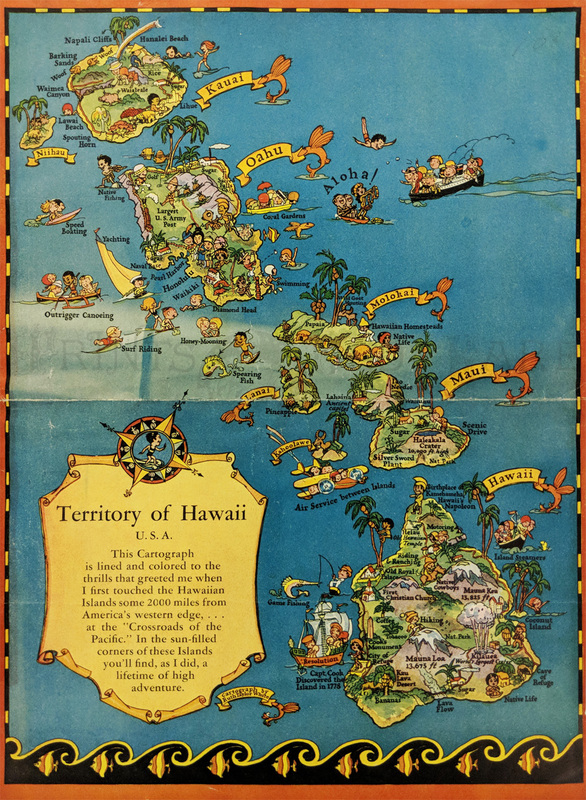 C.1940 Color Map and Guide showing the City of Honolulu and the Kamehameha Dynasty. 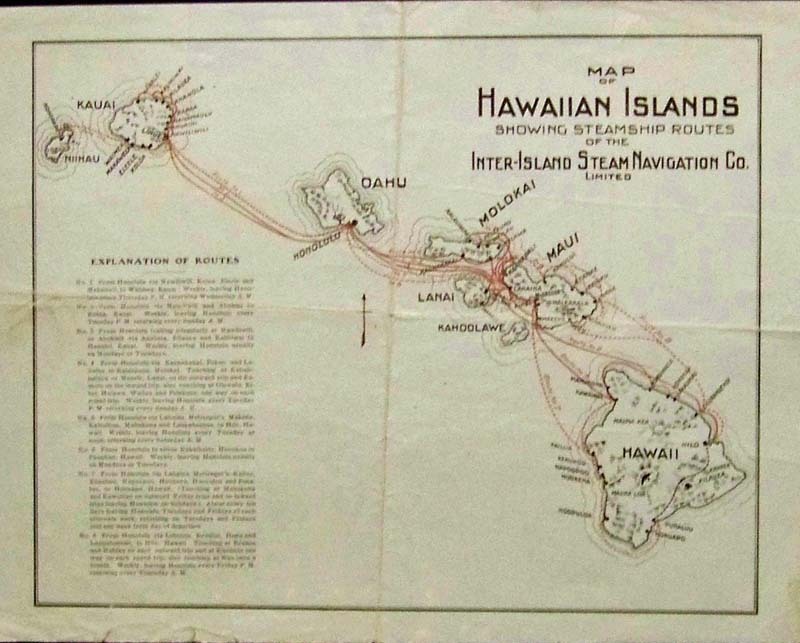 Issued by the Hawaii Tourist Bureau that gives sightseeing by trolley tips and places to go and how to see them. 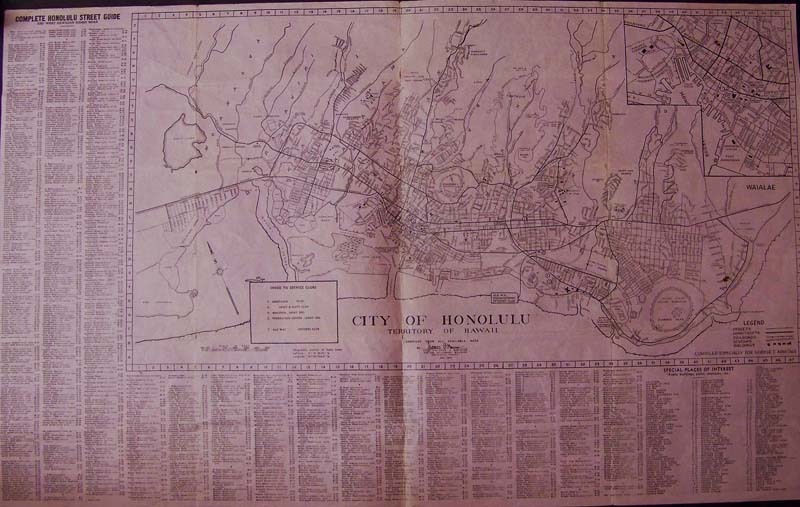 1947 Light pink engraved map showing the City of Honolulu, Territory of Hawaii with a Complete Honolulu Street Guide (and what the Hawaiian Names Mean). 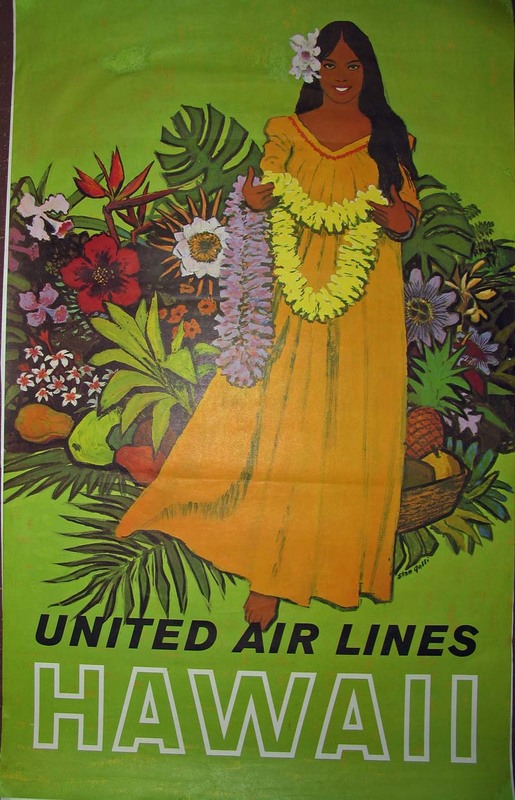 C.1960s Stan Galli poster for United Airlines Hawaii chromolithograph showing a Hula dancer surrounded by many tropical flowers. Small patch upper left of poster. 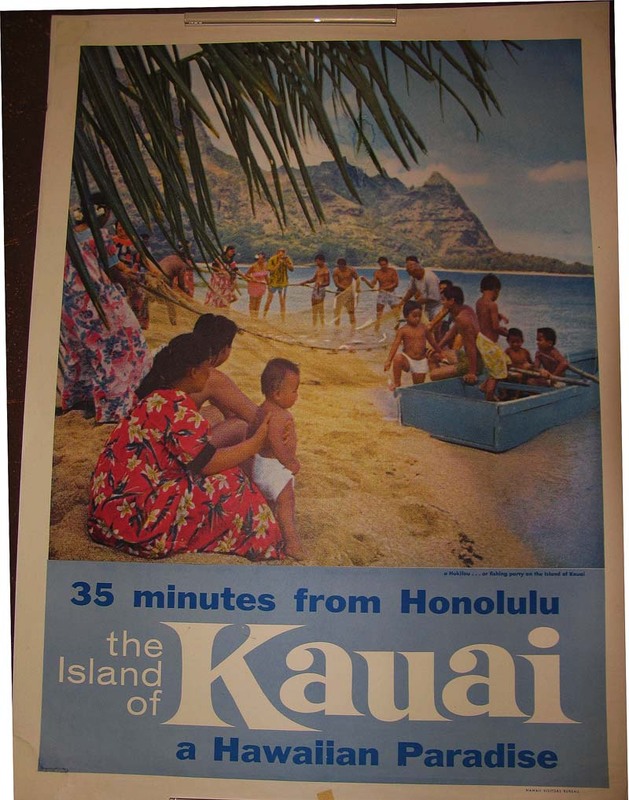 Colorful Kauai Hawaiian Paradise poster published by the Hawaii Visitor's Bureau.